Tired of the dining hall? Don't want to gain the Freshman 15? Exam time? Stressed out? Too much at work? Too busy? Just had a baby? Family in town? Tired of the same take-out? 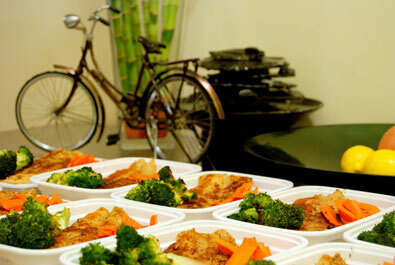 For the same price as take-out, Maggie's Meals delivers healthy homemade meals to your home or office. All you need to do is sign up to receive a weekly menu email of the following week's offerings. If you see something you'd like, send an email to Maggie's Meals to reserve your meal. On meal day, your meal is delivered to your home or office with easy Heat-and-Eat directions. The meals are varied between Eastern and Western cuisines (and usually at the end of the week, a carbo loading option is offered for the athletes among us).